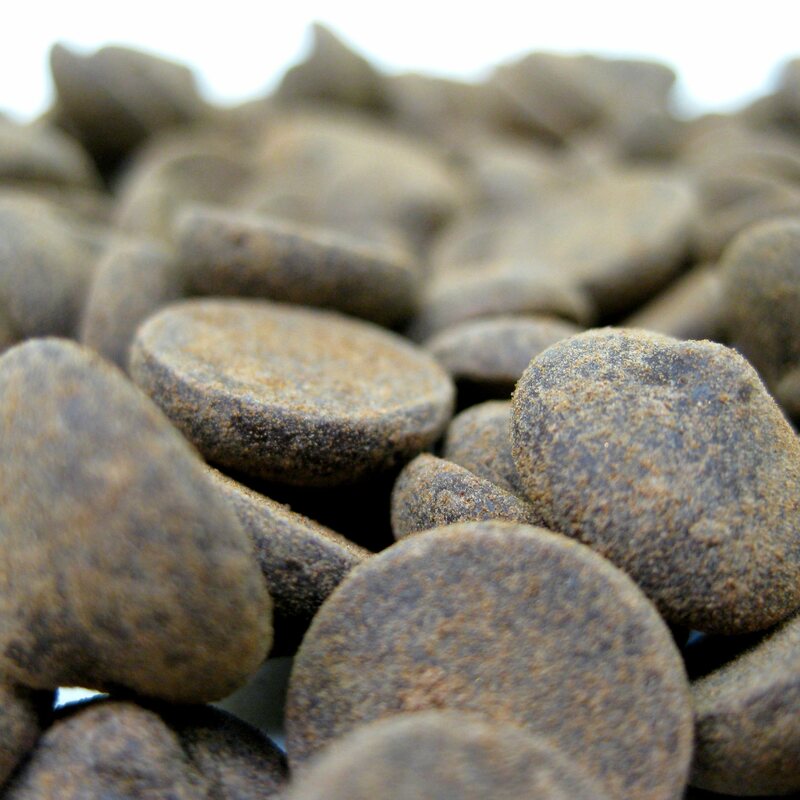 These coffee infused dark chocolate buttons are a great vegan chocolate treat. Our 53% dark chocolate buttonettes are infused with rich Colombian coffee for a rich, intense, earthy mocha chocolate mouthful. A great intense pick me up, with all the benfits of dark chocolate and an extra dose of caffeine! Great for nibbling at your desk, keeping close to hand, they are reseaable for snacking on the go. They can also be used in hot chocolate, muffins, cakes and much more. Please note that we list this as a dairy-free, wheat free and vegan chocolate. However, this is still made in our small boutique factory, where other allergen ingredients are used, so please do not order this product if you have wheat/dairy related allergies. Thanks. Dark Couverture Chocolate (Cocoa Mass, Sugar, Cocoa Butter, Emulsifier: Soya Lecithin, Natural Vanilla Flavouring), Coffee Powder. Per 100g: Energy 2281.2kJ/ 544.8kcal, Fat 36.2g (of which saturates 21.7g), Carbohydrates 45g (of which sugars 42.3g), Fibre 8g, Protein 5.2g, Salt 0.01g.